Somerville is a diverse city, and is looking for ways to bring the experiences and voices of recent immigrants from around the world to the city’s decision-making processes. 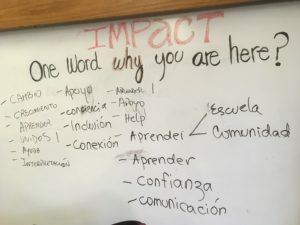 A group recently formed called IMPACT, which stands for Immigrant Multilingual Parent Action/Advocacy Action Team. These men and women are being supported as they find ways to participate more actively in their children’s schools, in hearings, and in other contexts. 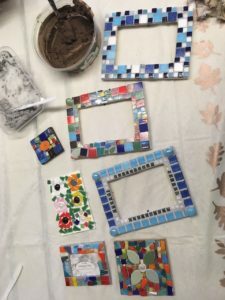 The Beautiful Stuff Project and Connection Lab recently brought mosaic supplies to the IMPACT group, and over time hope to set up a therapeutic art space that is open to IMPACT members throughout the week and has materials for them to do a variety of crafts. 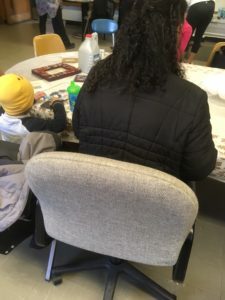 The first session with a parents’ English class was fun, and provided a nice opportunity to practice English, learn a new craft and get to know each other. 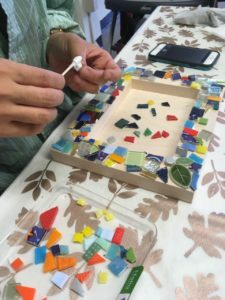 At the end of the session we left tiles, glue, substrates and two small desks as a first attempt at a craft space. Over the coming months we hope to make the space much more official, welcoming, and comfortable.